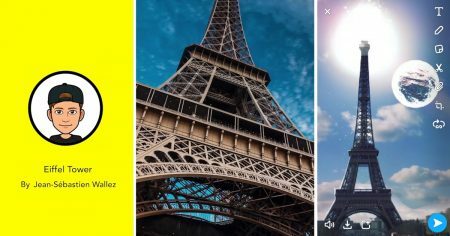 Snapchat introduced several updates to its augmented reality lenses and its Lens Studio suite of tools to create them, highlighted by Landmarkers, a way to bring global landmarks to life within the messaging application. The updates were unveiled at the Snap Partner Summit in Los Angeles Thursday. 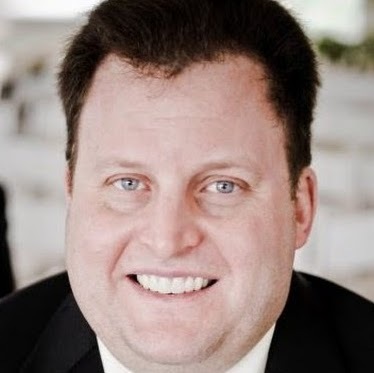 The company said 70 percent of its daily active users either play with or view a lens on the app each day. 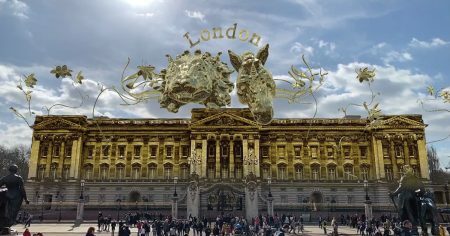 Lens Studio now includes templates for Landmarkers for five iconic locations worldwide: Buckingham Palace in London; the U.S. Capitol Building in Washington, D.C.; the Eiffel Tower in Paris; the Flatiron Building in New York; and the TLC Chinese Theater in Los Angeles. 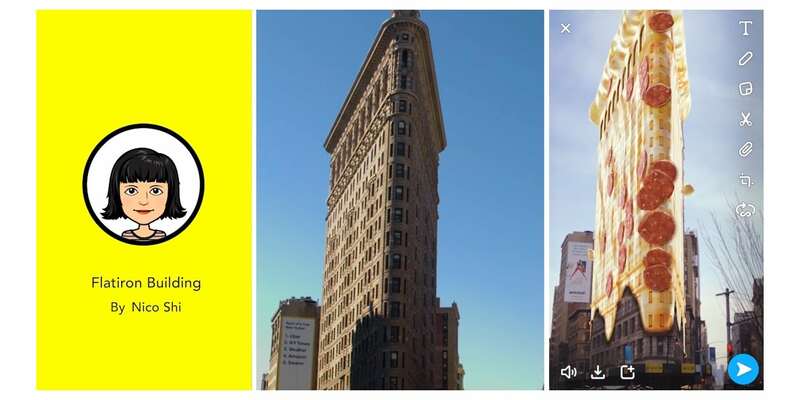 Snapchat said more landmarks will be added in the future. Landmarkers enable Snapchatters to add 2D and 3D content to those real-world locations and to retexture their surfaces. Snapchat users who happen to be at any of those locations can experience the Landmarker-enabled lenses starting Thursday. 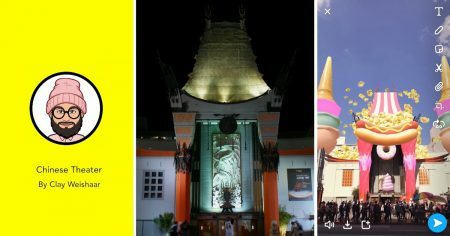 All Lens Creators can build lenses for these locations, and Snapchat said its mapping technology for the feature will be powered by publicly submitted Our Story Snaps shared by users. 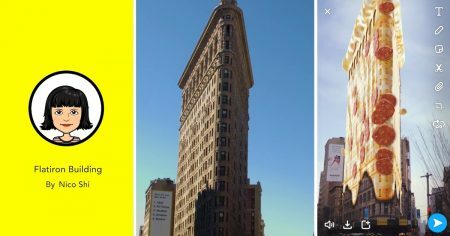 Brands also have the option of developing Landmarkers experiences, either via Lens Studio with the help of external creators, or with Snapchat’s in-house AR team as part of broader partnerships. 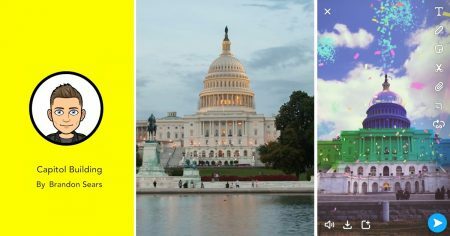 Photomath and Giphy were added as partners for Scan, Snapchat’s camera search feature. Snapchatters already had the ability to press and hold on the camera screen to unlock experiences based on what is in their viewfinder or their environment, such as: scanning Snapcodes to unlock filters and lenses; scanning physical products or barcodes to bring up Amazon search results; and learning more about music that is playing via Shazam. Now, users can point their camera at a math equation to see the solution appear, thanks to Photomath. Or Giphy will invite them to add contextually relevant, dynamically generated GIF lenses to their Snaps. In addition, Snapchatters can use Scan to surface relevant lenses, based on what appears in their camera view. Lens Studio is getting a host of new AR features, including hand, body and pet tracking, as well as improvements specifically geared toward advertisers, such as warnings and optimizations for file size, frames per second and placement of sponsored lenses. 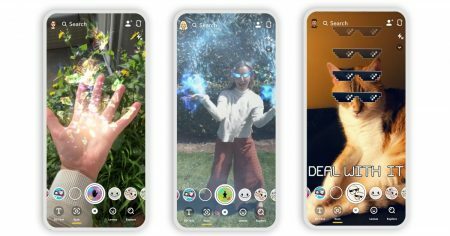 Snapchat said AR lens buying is now available to brands of all sizes, budgets and business objectives. 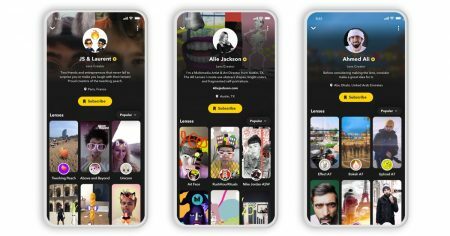 Finally, all Snapchat users will soon gain access to AR Bar, which will enable them to create, scan, browse and explore lenses and camera search experiences, all from one place.